It began in May 2014 when a member of the public contacted the North Yorks Enquirer about a Scarborough shop owner who had accumulated over a thousand parking PCNs (Penalty Charge Notice). 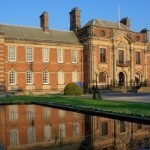 At £75 per PCN and adding in court and bailiff costs, the matter amounted to a small fortune. The owner of the shop on Victoria Road had just been assaulted by bailiffs acting for Scarborough Borough Council (SBC). The bailiffs later concluded the case against the shop owner by taking his car, worth around £300. It seemed odd that they’d settled for such a small amount given the number of PCNs involved. Two months later, SBC, in conjunction with North Yorkshire County Council (NYCC), banned Motorhomes from parking on Scarborough’s Marine Drive between hours of 11pm and 7am. One of the reasons for the ban was that it spoiled the view, which is odd considering no one lives down there and it is mostly dark between those hours. 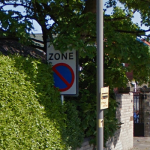 As most of the residents of Scarborough zone know, the zone was created in 2002 to fund the Seamer Road Park & Ride site, which in itself is illegal. The price of residential permits must be broadly similar to the management costs for the zone. 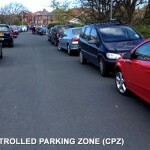 Councils must not seek to profit from residential parking schemes. Currently, SBC makes a profit of over £1million from parking in Scarborough and Whitby. The surplus monies go to NYCC. 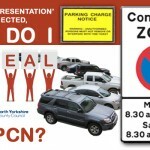 In 2015 I removed the permit from my car and acquired five PCNs in order to challenge the council. In August 2015 I won three PCNs because SBC parking staff didn’t understand the de-criminalised parking PCN process and I ended up beating them on procedure. In November 2015 I won the other two PCNs after beating the council at the Traffic Penalty Tribunal. The tribunals independent adjudicator agreed with me that the bay signs on the majority of our streets did not provide adequate information of the traffic order in effect. SBC did not appeal that decision. Sadly, the councils still disputed the result of the tribunal and claimed because they had not provided full evidence to the tribunal for the final two PCNs, the ruling amounted to nothing and their parking scheme was still legal. Frustrated with their obfuscation, I again decided to acquire more PCNs to test SBC’s statement that their residential parking zones were legal. The first pair of PCNs that went to the independent adjudicator at the Traffic Penalty Tribunal didn’t go so well. They ruled against me and ordered me to pay. I appealed their decision on the basis that the adjudicator had not interpreted the evidence correctly. SBC still sent demands to pay and threatened to register a debt against me despite the ongoing appeal process, so I begrudgingly paid the two PCNs. The next two PCNs also fared badly. The independent adjudicator basically ignored my evidence and referred me to their first decision, which was currently the subject of an appeal. 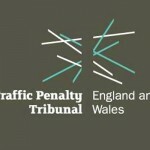 The fifth PCN was then appealed and the Traffic Penalty Tribunal agreed to a face-to-face hearing. Also included in the face-to-face hearing were my two final appeals and PCNs from another resident of Candler Street. I attended the hearing in Leeds on December 7th. NYCC solicitors Catriona Gatrell and Richard Pennell, probably after having seen the poor quality of evidence submitted by SBC, took over the case and submitted evidence two days before the hearing. They attempted to take part in the hearing via phone, but poor mobile connectivity saw them not take part in the proceedings. The zone in Scarborough was created to give preferential parking for residents who purchase parking permits from SBC for their zone. The traffic order states that permits are necessary to park within the zone at all hours. At other times, discs are allowed at the proscribed time. The crux of my case was that the signage throughout the residential parking zones in Scarborough does not reflect the traffic order in effect. As you can see from the signs pictured above, neither of the signs mentions permits in any way, shape or form. My task is to ascertain if the parking arrangements reflect the TRO, are accordingly lawful, signed Adjudicator’s Decision substantially in accordance with the Regulations and, overall, signed so as to provide adequate information to motorists of what they may or may not do. I am reluctant to condemn a large scheme, where there would be inevitable expense upon the Council were they ultimately required to amend it. 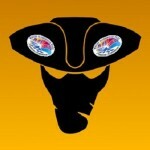 But on my analysis it is, not to put too fine a point on it, an inelegant mess. I doubt the Thornes were caused any genuine confusion but they were entitled to call the Council to account over the working and signing of this scheme. 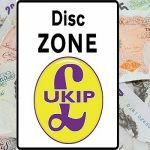 Whilst on each occasion they parked without either a Disc or a permit in presumably deliberate defiance of the sign in place outside their house, I agree with them that the overall Disc Zone is inadequately marked and consequently unenforceable. The individual bay signs do not reflect the TRO and the requirement to display either a Disc or a resident’s permit is also unenforceable. The appeals are therefore allowed. 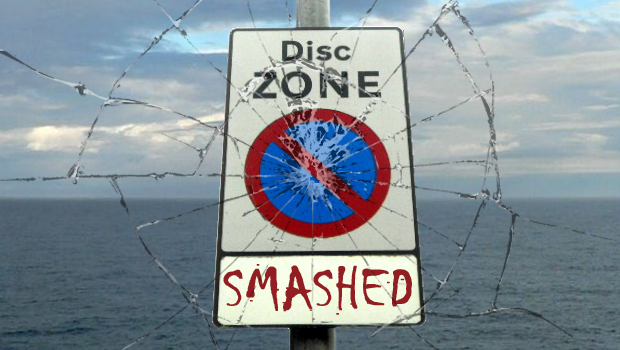 So there you have it, SBCs Scarborough Disc Zone is currently unenforceable. 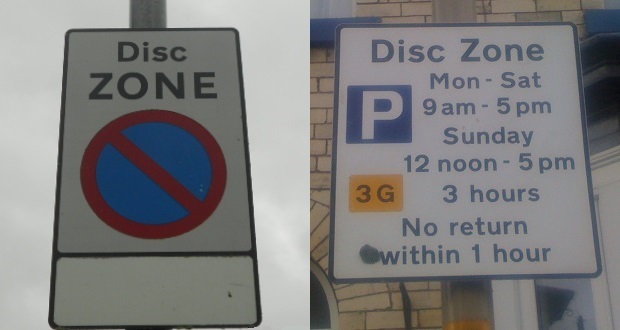 Given that the same signage is in use in Whitby, Harrogate and Knaresborough, those Disc Zones are very likely to be unenforceable too. The problems with Scarborough TROs have been known about since 2010, but no one at the council appears to have been interested in fixing the problems they’ve created. The adjudicator stated that the Traffic Regulation Order that Scarborough Borough Council had drawn up was probably the worst they had ever seen. SBC, NYCC and Harrogate Borough Council (HBC) appear to have some work to do. I will now pursue SBC to obtain a refund of the two PCNs I paid. If they do not voluntarily give me the refund I am seeking, it will be necessary to pursue the refund through a county court claim. If the claim is successful, and there is no reason why it shouldn’t be as similar cases involving Lendal Bridge and York City Council were successful, any PCNs that have been paid will need to be refunded. In 2014 an article in the Daily Mail showed SBC received over £1.7million per annum from PCNs. The figures from Harrogate Borough Council could be significantly higher. If you multiply those figures by the number of years the schemes have been running, then PCN refunds could run into the ten of millions. There is also the small matter that SBC have been illegally levying monies from the general public when they knew their parking scheme was not fit for purpose. Misconduct in public office anyone? Will heads roll at the council for this? Probably not. They’ll stick their heads back in the sand, blame the problems on me and take not one jot of responsibility for the situation they’ve known about for years. How do we fix the problems with the Scarborough zone where residents do not get preferential parking outside their own homes? Given that the councils involved do not listen, I’ll probably have to run for election to North Yorkshire County Council in May next year to try to resolve the situation on a street by street basis. 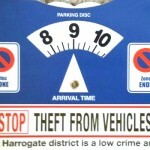 Parking Refunds On Cards For Harrogate?